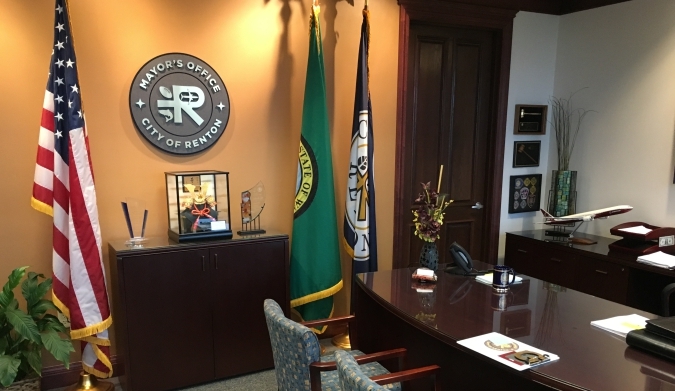 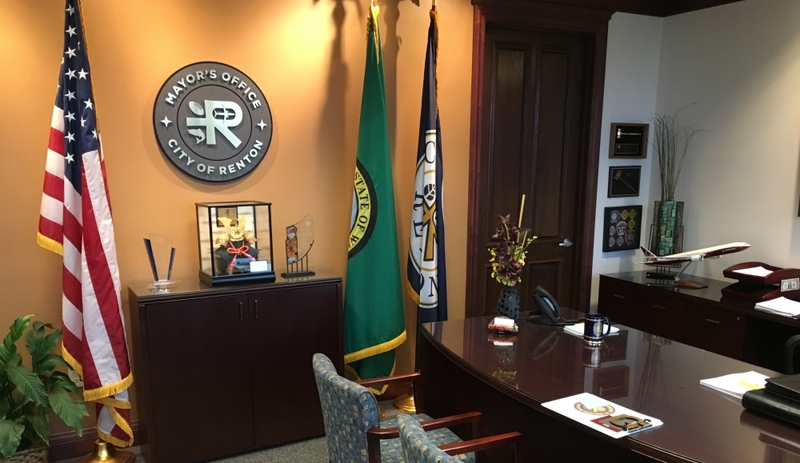 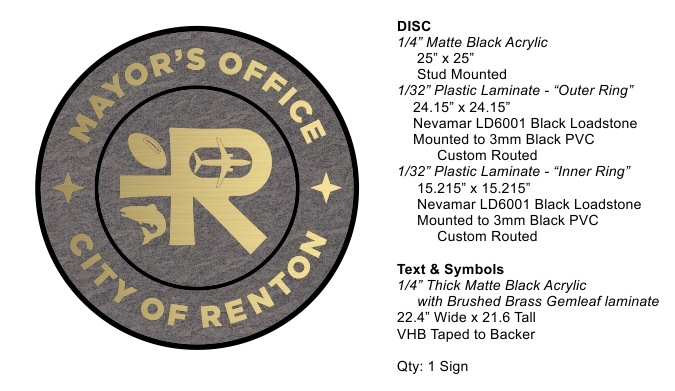 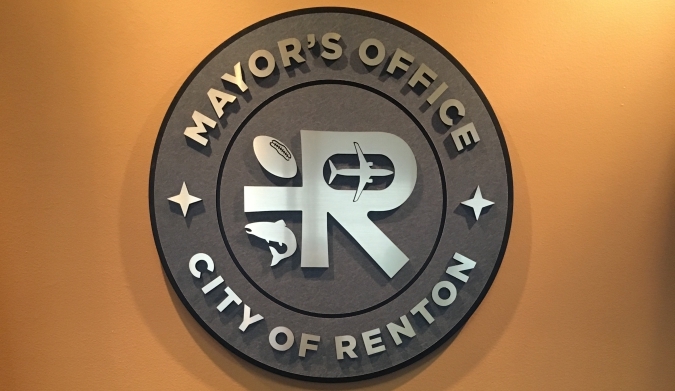 Worked with an assistant to the mayor of Renton, WA to design a seal for the mayor's office. The central logo was supplied in vector format, however adjustments had to be made to accommodate the material and the reverse cut lines. 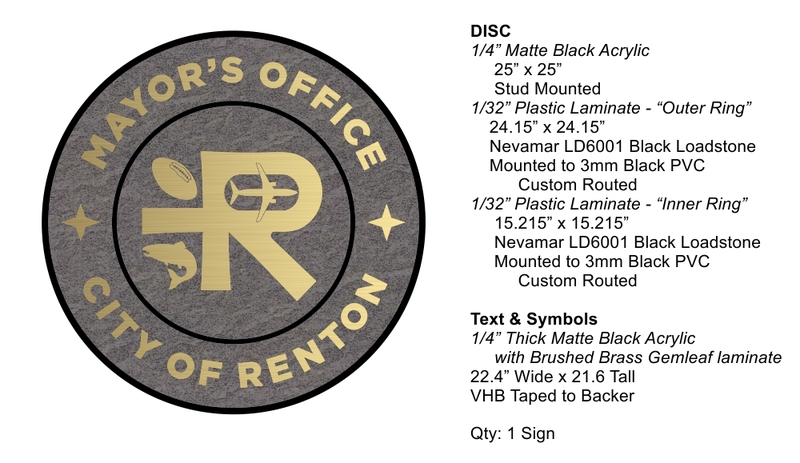 The customer was shown 4-5 mockups, depicting different fonts, spacing, and side symbols before they settled on the above.